Performance Shin Guard Rash Socks. Do you get shin pad rash? Irritated, bumps after sports activities? Whether you use them for field hockey, ice hockey, soccer or skiing these under shin pad liner socks act as a barrier to protect your legs from rash and irritation. Hocsocx unique blend of materials provides added support that performance athletes should have. Thin, durable, sweat-wicking material - Does NOT take up extra room in the shoe. 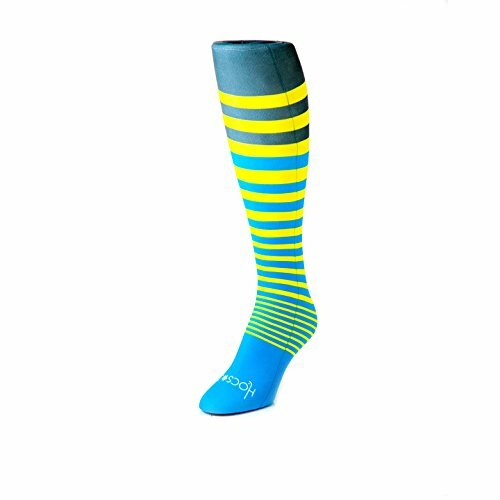 There are no other socks on the market that protect athletes like Hocsocx! Protection, Performance, Personality! After all... It's What's Underneath That Counts. If you have any questions about this product by Hocsocx, contact us by completing and submitting the form below. If you are looking for a specif part number, please include it with your message.